Download a brochure featuring Staphage Lysate (SPL)® benefits, product details, and ordering information. 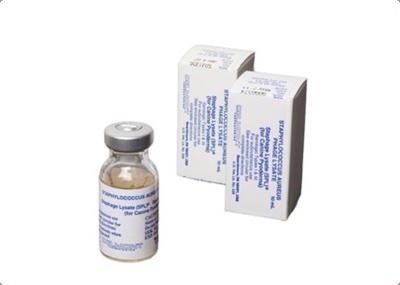 Download the Package Insert containing product description, indications & usage, and dosage & administration info. 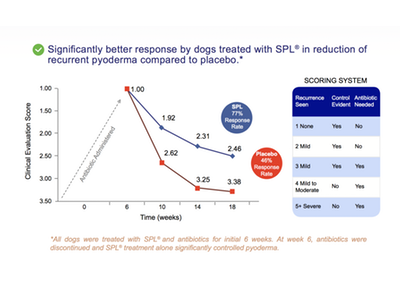 Download a Research Study about the control of Pyoderma with Staphage Lysate (SPL)® in Dogs with Atopic Dermatitis. 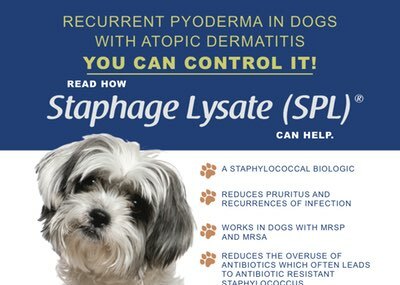 Includes dogs with MRSP and MRSA. Download a brochure featuring the demonstrated performance, efficacy and safety of Staphage Lysate (SPL)®. 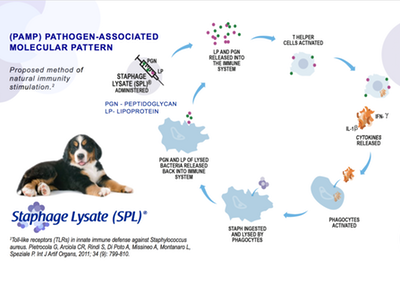 Details the (PAMP) Pathogen-Associated Molecular Pattern and the graphic showing the proposed method of natural immunity stimulation. Our consulting board certified veterinary dermatologist, Dr. Patrick Breen, is available to answer your clinical questions and assist you through the treatment process. Please call us directly at 800-562-5541 or email us at splvet@derm.com for his contact information. This consultation is free for veterinarians. email us at splvet@delmont.com for his contact information. Thank you for your interest in SPL®. 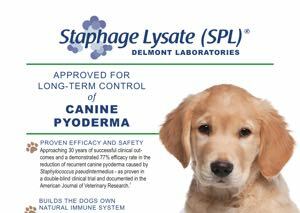 SPL is used to prevent recurrent staphylococcal skin infection in dogs and is available in 10 mg bottles, SPL can be purchased directly through Delmont Laboratories or through one of our authorized distributors (US), buying groups (Canada) or importers (Brazil, United Kingdom and Israel). Western Drug Distribution Center Ltd.